Few things are more exciting than starting to work with a blank canvas. A blank canvas teems with possibilities, and it’s only limited by your imagination. You need the right platform for your art, and it starts with a quality canvas. You can find all kinds of canvases at your fingertips thanks to the wide selection available at Jerry’s Artarama. We offer pre-fabricated canvases in a variety of sizes for your convenience and also are happy to provide custom solutions for your unique work of art. Naturally, you’ll be able to find all shapes and sizes of pre-made canvas at our 9,000 square foot store. These value packs are convenient and ideal for students and hobbyists looking to save on art supplies. For professional artists and those with serious projects, we’re pleased to offer custom canvas services to provide you with the perfect canvas for your next piece. When you speak to the custom canvas center at our Norwalk, CT store you’re sure to find the surface you need for your art. Our employees are all artists themselves and know how to listen carefully to customers to help you find exactly what you’re looking for. From established artists to dabblers looking to go to the next level, we have everything you need to create just the art you’re dreaming of. When you decide to go custom with your canvas you know you’re looking for something special in your surface. Our Norwalk, CT location can provide you with all of the options you need to find the right canvas for your art. At Jerry’s Artarama we help you be in control of your new canvas. 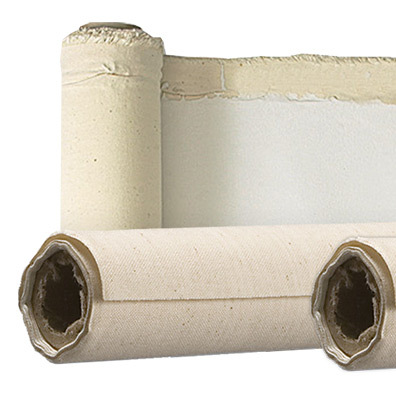 Our canvas rolls can be cut to just about every shape and size you can think of, from smaller sections to massive swaths. One thing customers should remember is that the maximum width of a canvas is 30 feet, while the maximum height is 10 feet. That should still be big enough to handle what you’re looking for. Ready to find your canvas? Contact us or come to the Jerry’s Artarama in Norwalk to pick out your canvas or have us custom create your canvas for you. Learn more about what Jerry’s Artarama can do for you.